The seaport offers stores, restaurants and different activities. 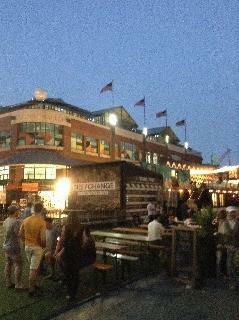 During the summer the seaport has live groups and beer gardens in the weekends. For the winter the seaport builds a ice skating platform for kids. There's always going on at the seaport. Also, really close to the seaport tourists can admire the Brooklyn bridge and manhattan bridge. The views are stunning not matter if it's day time or night time.